The Sports Edge! Team Ranking screen provides a quick overview of all teams in the current sport and allows for ranking teams based on many different stats. 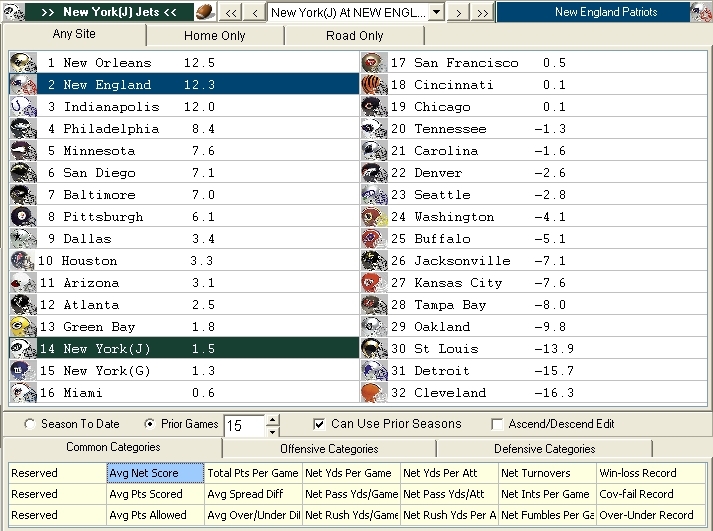 Options are available to vary the prior games included and drill into Offensive and Defensive stats.